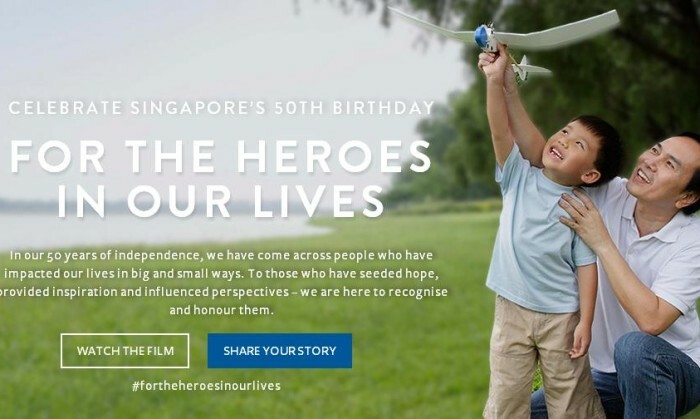 FairPrice has launched a movement called ‘For the Heroes in our Lives’ to celebrate the nation’s 50th birthday. The campaign is a way for FairPrice to uncover everyday heroes who have contributed to society or towards the personal development of individuals in the community. The campaign invites Singaporeans to identify the unsung heroes in their lives and share their stories with the public. Part of the promotional campaign includes a series of short films that will be screened across cable TVs, outdoor screens, digital and social media platforms. These short films will feature Singapore personalities sharing about who their respective unsung heroes are. Story collectors will also be present at various locations around Singapore and all submitted stories will be collected and put together to form a physical art installation, as part of SG50 celebrations. ‘For the Heroes in our Lives’ movement also created a website www.thatsmyfairprice.com.sg for Singaporeans to share their stories of their unsung heores. FairPrice has also invited the community to send in appreciation snippets of their heroes via the website, hashtag #fortheheroesinourlives on social media platforms, or leave recorded messages on a hotline number.